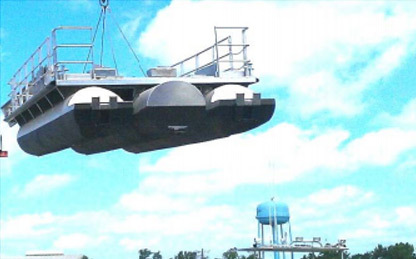 Overall Length (Transport Mode) 43'-2"
Overall Beam (Transport Mode) 2'-6"
Minimum Operating Draft (loaded) 20"
Compliance Inspection's goal is to produces the highest quality pontoon boat at an affordable price. 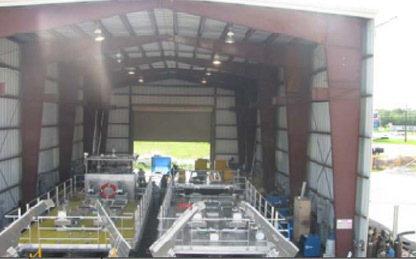 CISI is devoted is building and customizing the safest and highest quality pontoon boats on the market. Safety comes first in every aspect of CISI ponoons. With family and friends on board would you settle for anything less? 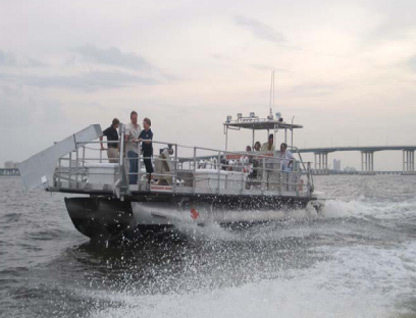 CISI developed and manufactured pontoons style oil skimmers were on the front line in the fulf of Mexico during the Gulf Oil spill of 2010. Our versatile shallow water and mid water skimmers can skim about 6,000 gallons of oil per hour in some of the most difficult terrains while withstanding the test of time due to their structurally superior design.